Easily regulate and maintain temperature for all hot water solutions. Hot water sets (HWS) from Central States Industrial (CSI) use stainless steel materials to help achieve a hygienic, long-lasting design. 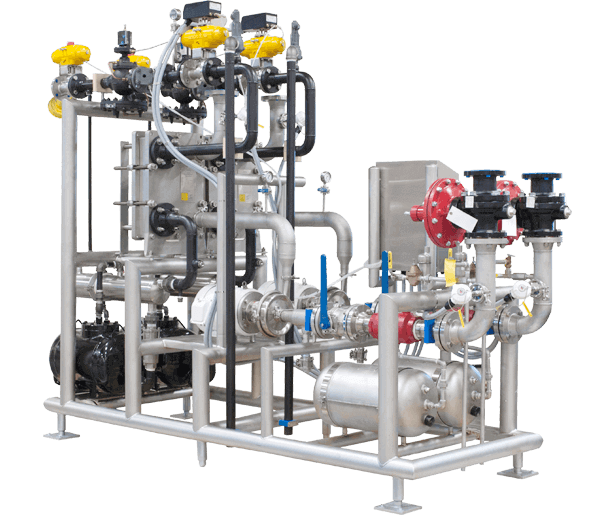 HWS are designed and built to application requirements for flow, temperature, and pressure, while optional heat transfer equipment choices allow customization to meet each facility's standard practices. CSI's HWS control system with Allen Bradley components and seven-inch color touchscreen display is a simple, economical, and efficient way to safely regulate the operation of the hot water set. Monitoring the supply temperature, water flow rate, temperature history information, and any applicable alarms is easy with CSI's system. 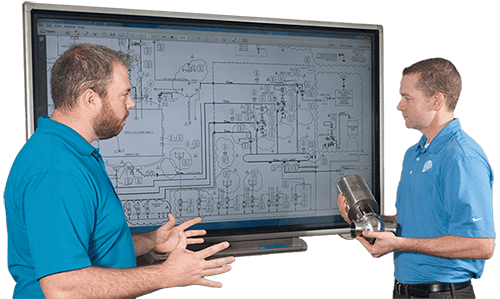 Setpoint changes can also be made from the touchscreen, which is password protected to prevent unauthorized adjustments. Literature for Hot Water Sets have been saved to your dashboard! Literature for Hot Water Sets are already in your dashboard.